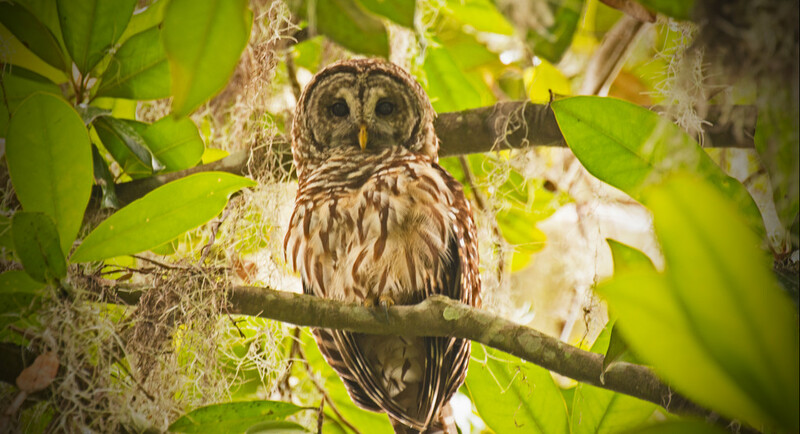 Barred Owl Checking Me Out! Was fortunate today and actually found two of these guys, after a fellow photographer informed me that he had seen them while coming down the trail. Not sure I would have seen them if he hadn't taken me to where they were. Unfortunately, the way they were in the tree, just couldn't get a good shot of the both of them. Also, not sure what was going on with the camera, but most of the shots had signs of motion blur, even though I had it on the tripod. Guess I can't complain, as I did get to see them. A fabulous shot and what luck to have someone show you the spot, fav!